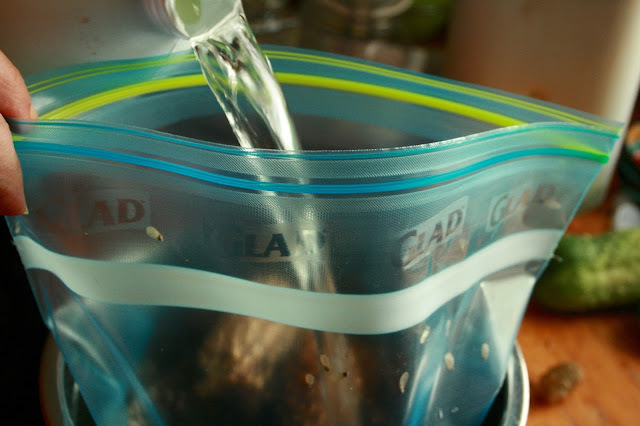 Today I would like to talk about a DIY that I have been playing with for quite some time now. 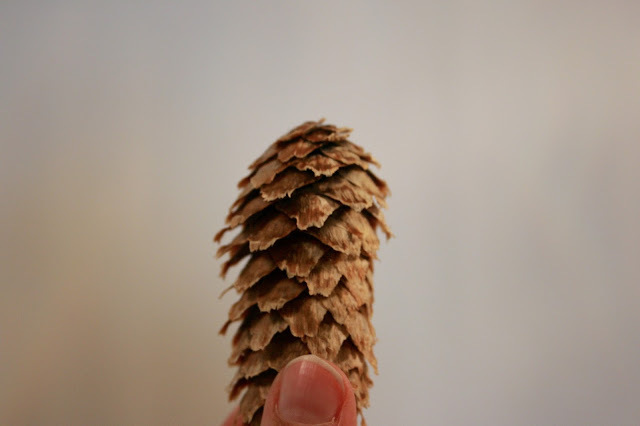 It all started when we found some pinecones at the farm that we were babysitting several months ago. 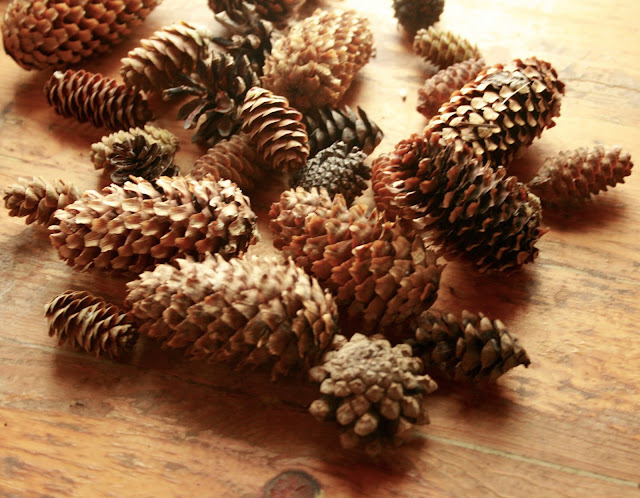 We found them on a morning walk and that is when I discovered that I actually really like them; I like their texture, its a fun way to bring to bring more nature into the house (heehee), and it made for a great afternoon of gathering them up & sorting them. 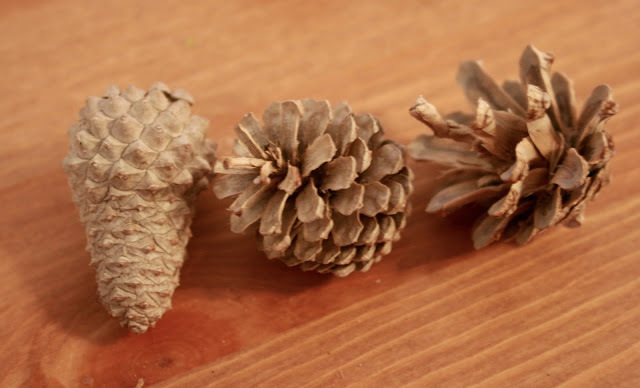 This started my lovely journey of searching on Pinterest to find what I could create or add to the pinecones to make them a little prettier and perfect for our home display purposes. 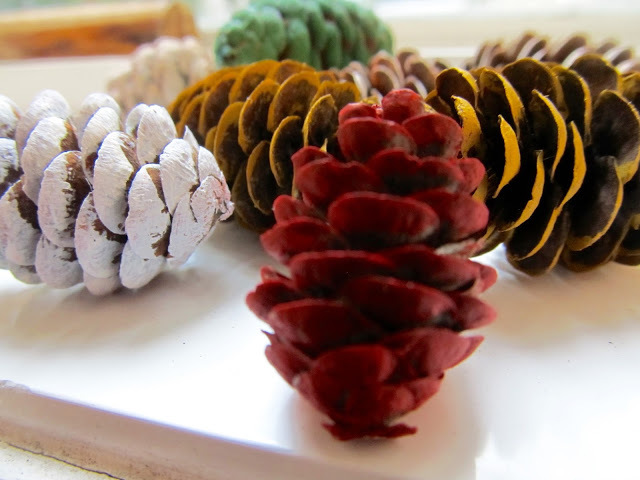 I found two lovely ideas right away: painted pinecones & bleached pinecones. 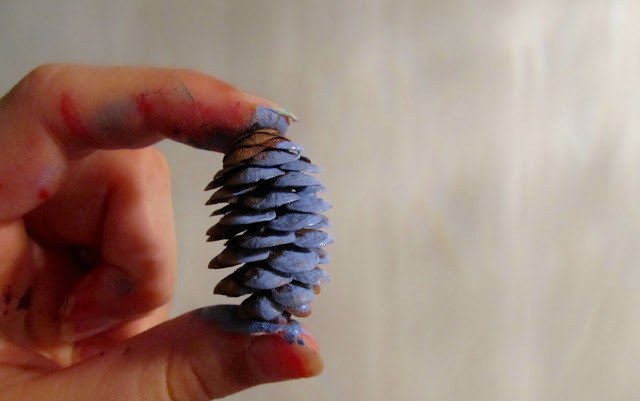 Painting the pinecones was a project that I did right away, I even wrote a blot post about my little project that can be found here. It was such a simple little project that gave them a little character, in my opinion. 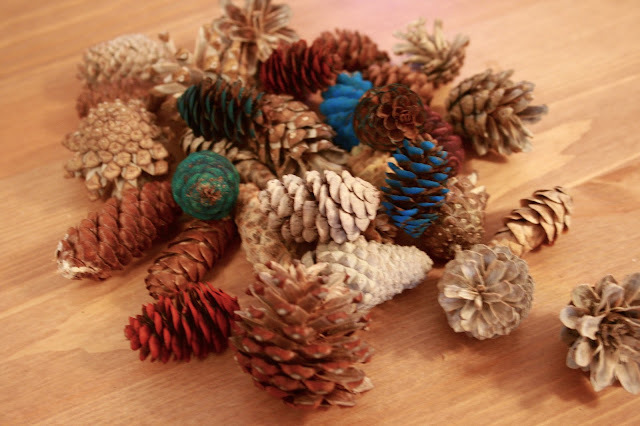 My little toddler also enjoyed picking out the colours that I used for each pinecone (she also hid a few of my paint tubes in her bedroom). 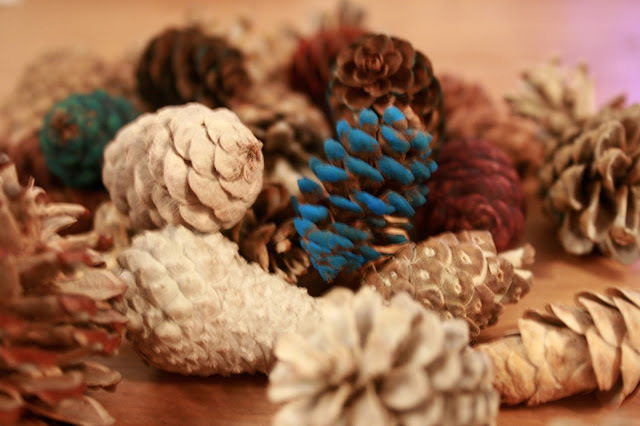 The bleached pinecones were a little bit of a longer project, but only in the way of preparation. I didn't have bleach, but I was going to visit my mom the following week, and she always has everything that I need. Bleaching, bleaching, bleaching. It took about 48 hours before I was able to get rid of the bleach and take a look at them all. 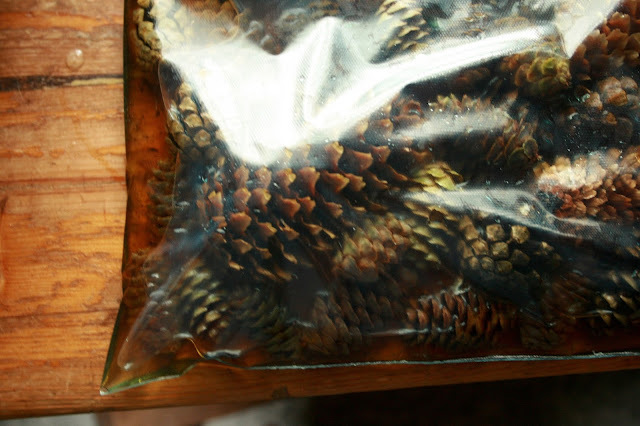 Below are some pictures of some of the pinecones that loved the bleach and some that didn't take to it as well. 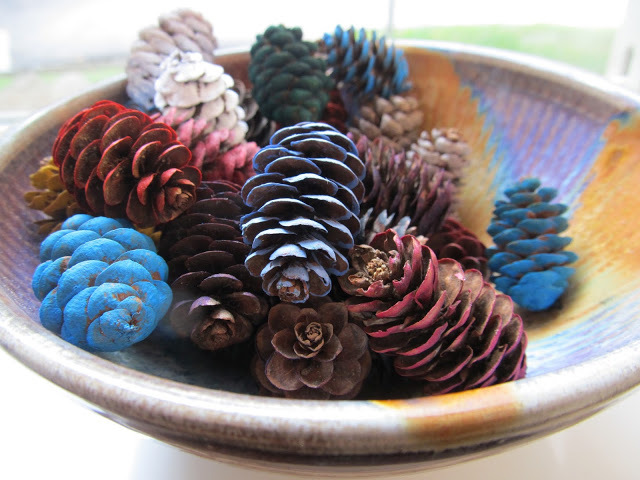 I wasn't sure about anything going into this project, so I just used every single kind of pinecone that we had found. Above: these guys bleached completely and are gorgeous. 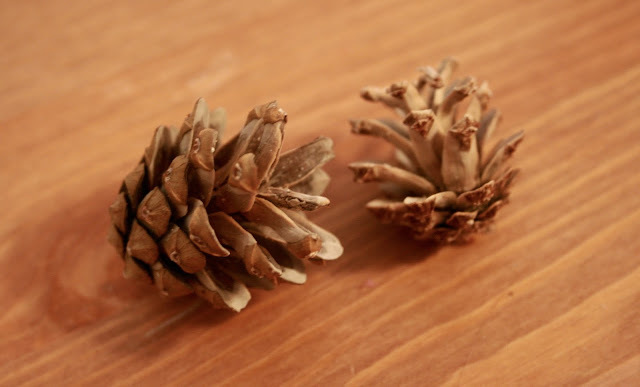 Above: Then we had the exact same type of pinecone, but only the outsides were bleached and not the inside. 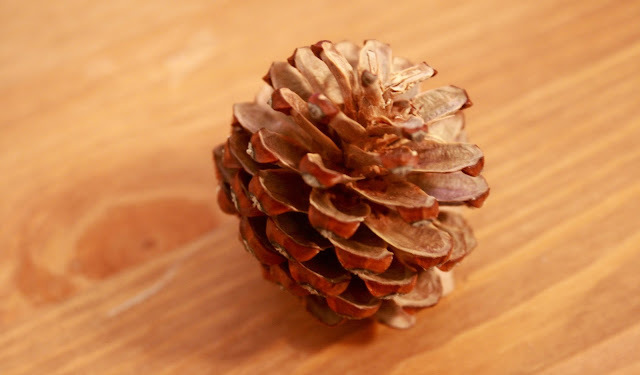 Above: I also had a few of these large pinecones that I try to bleach and they did the worst of them all. 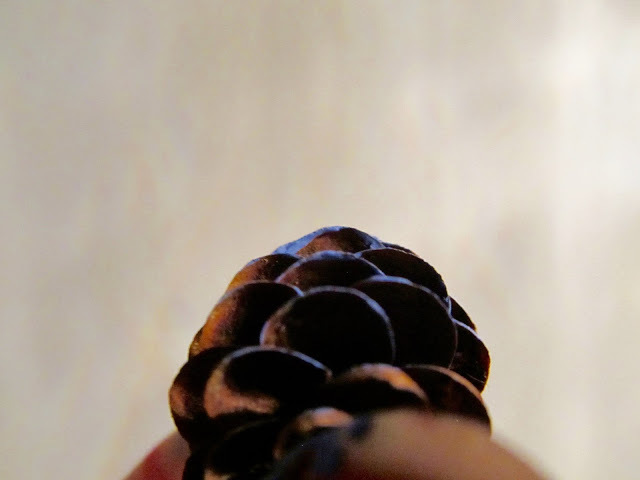 This type is one that I am rarely using at all; they are blotchy and very fragile. 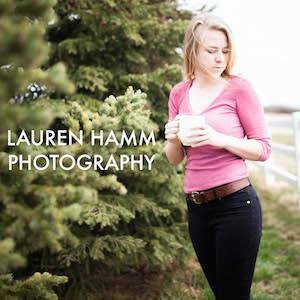 Feel free to add me on Pinterest if you would like. 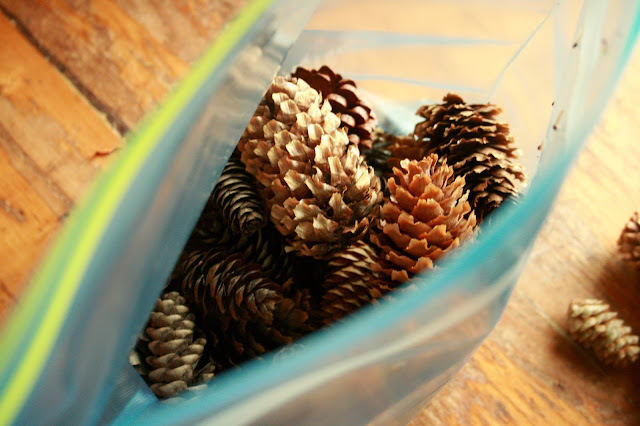 I love using Pinterest and think it is such a great way to find inspiration for everything. 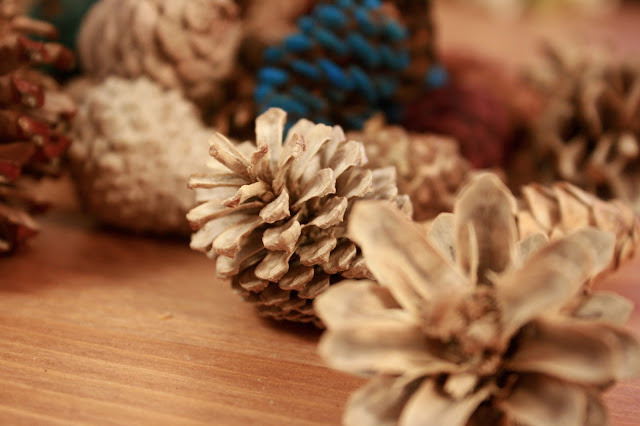 I am always pinning pictures and buttons. 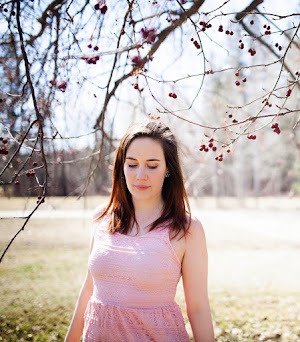 My profile is here.